Welcome to Pure Earth dba Ketosiscookbook.com. By using the Pure Earth service (“Services”), you agree to be subject to the following terms of service (“Terms”) and enter into an agreement with Pure Earth, LLC. and its internet platform http://ketosiscookbook.com . The following General Terms of Service (“Terms”) shall apply exclusively to the business relationship between Pure Earth, its internet platform www. Ketosiscookbook.com (“the Website”) and our users. By using the Website, the user accepts the following General Terms and Conditions, as well as the manner in which the Website operates as described on the Website. 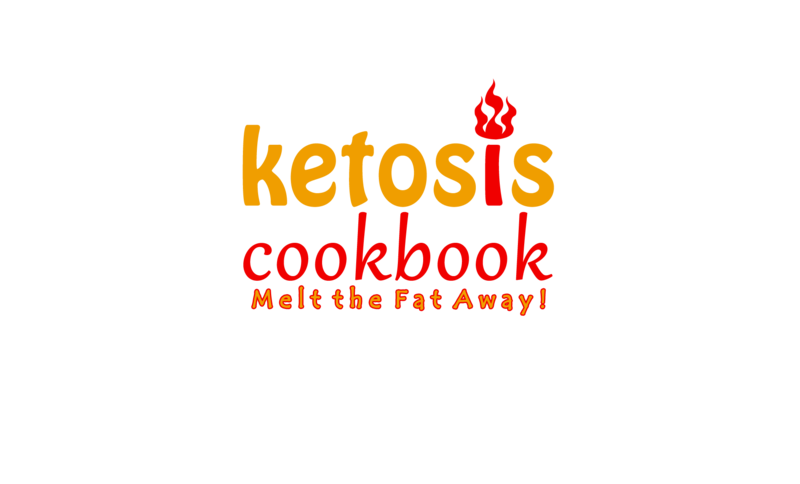 Any special promotions run by KetosisCookbook shall only be valid if they are announced on the Website or in its corresponding email newsletter and only for the limited time announced. Registering as a user for Pure Earth and checking the “I accept the Terms and Conditions” box. Your use of the Pure Earth website. In this terms and conditions document as well as in our privacy statements and disclaimer contained herein. The following terminology applies: “customer”, “client”, “you” and “yours” refer to you, the person accessing our website and accepting the terms. “The company”, “ourselves”, “we” and “us” refers to Pure Earth dba Ketosis Cookbook, the company owning the Ketosis Cookbook brand and its products. “Party”, “parties” and “us” refers to both the customer and ourselves. All terms refer to the offer, acceptance and consideration of payment necessary to undertake the process of our assistance to the customer in the most appropriate manner. Any use of the above terminology or other words in the singular, plural, capitalization and/or he/she or they, are taken as interchangeable and therefore as referring to same. User expressly agrees that use of the Website is at user’s sole risk. Neither Pure Earth, its affiliates nor any of their respective employees, agents, third party content providers or licensors warrant that the Website will be uninterrupted or error free; nor do they make any warranty as to the results that may be obtained from use of the Website, or as to the accuracy, reliability or content of any information, service, or merchandise provided through the Website. The Website is provided on an “as is” basis. To the maximum extent permitted by law, Pure Earth disclaims all representations and warranties, express or implied, with respect to any information, services, products and materials, including, but not limited to, warranties of merchantability or fitness for a particular purpose, title, non-infringement, freedom from computer virus and implied warranties arising from course of dealing or course of performance. In addition, Pure Earth does not represent or warrant that the information accessible via the site is accurate, complete or current. We are not responsible for typographical errors. This disclaimer of liability applies to any damages or injury caused by any failure of performance, error, omission, interruption, deletion, defect, delay in operation or transmission, computer virus, communication line failure, server failure, theft or destruction or unauthorized access to, alteration of, or use of record, whether for breach of contract, tortious behavior, negligence, or under any other cause of action. User specifically acknowledges that Pure Earth is not liable for the defamatory, offensive or illegal conduct of other users or third-parties and that the risk of injury from the foregoing rests entirely with user. In no event will Pure Earth be liable for any damages, including, without limitation, direct, indirect, incidental, special, consequential or punitive damages arising out of the use of or inability to use the Website. User hereby acknowledges that the provisions of this section shall apply to all content on the Website. In addition to the terms set forth above, neither Pure Earth, nor its affiliates, information providers or content partners shall be liable regardless of the cause or duration, for any errors, inaccuracies, omissions, or other defects in, or untimeliness or inauthenticity of, the information contained in the Website, or for any delay or interruption in the transmission thereof to the user, or for any claims or losses arising therefrom or occasioned thereby. None of the foregoing parties shall be liable for any third-party claims or losses of any nature, including, but not limited to, lost profits, punitive or consequential damages. Neither Pure Earth, its affiliates, information providers nor content partners warrant or guarantee the timeliness, sequence, accuracy or completeness of this information. Additionally, there are no warranties as to the results obtained from the use of the information. Pure Earth shall not be liable for personal injury and property damage resulting from the improper handling, modification or misuse of the products by the purchaser or any other person following delivery by Pure Earth. In no event shall Pure Earth be liable to any person for incidental or consequential damages relating to the products, including but not limited to loss of profits or goodwill, loss-of-use damages or additional expenses incurred, whether pursuant to a claim in contract, tort or otherwise and whether in an action for breach of warranty or otherwise. Pure Earth reserves the right to correct any errors, inaccuracies, or omissions that may relate to product pricing, descriptions, and availability and to change or updated information at any time without prior notice, before, during, or after an auction or order is completed. Should any product offered by Pure Earth not be as described your sole remedy will be to return it in unused condition pursuant to the return policy outlined in this document. TO THE FULL EXTENT PERMISSIBLE BY APPLICABLE LAW, PURE EARTH, ITS AFFILIATES, RESPECTIVE EMPLOYEES, AGENTS, THIRD PARTY CONTENT PROVIDERS, SUPPLIERS AND LICENSORS DISCLAIM ALL WARRANTIES, EXPRESS OR IMPLIED, INCLUDING, BUT NOT LIMITED TO, IMPLIED WARRANTIES OF MERCHANTABILITY AND FITNESS FOR A PARTICULAR PURPOSE, TITLE, NON-INFRINGEMENT, AND IMPLIED WARRANTIES ARISING FROM COURSE OF DEALING OR COURSE OF PERFORMANCE . PURE EARTH, ITS AFFILIATES, AGENTS, THIRD PARTY CONTENT PROVIDERS, SUPPLIERS AND LICENSORS DO NOT WARRANT THAT THIS SITE; INFORMATION, CONTENT, MATERIALS, PRODUCTS (INCLUDING SOFTWARE) OR SERVICES INCLUDED ON OR OTHERWISE MADE AVAILABLE TO YOU THROUGH THIS SITE; THEIR SERVERS; OR E-MAIL SENT FROM PURE EARTH ARE FREE OF ERRORS, VIRUSES OR OTHER HARMFUL COMPONENTS. IN ADDITION, PURE EARTH DOES NOT REPRESENT OR WARRANT THAT THE INFORMATION ACCESSIBLE VIA THE SITE IS ACCURATE, COMPLETE OR CURRENT. YOU AGREE THAT, EXCEPT AS EXPLICITLY SET FORTH HEREIN, PURE EARTH, ITS DIRECTORS, OFFICERS, EMPLOYEES, REPRESENTATIVES, SUCCESSORS, LICENSORS, AND SUPPLIERS SHALL NOT BE LIABLE TO YOU OR ANY THIRD PARTY FOR ANY OF THE FOLLOWING TYPES OF DAMAGES RELATED IN ANY WAY TO OUR RELATIONSHIP WITH YOU (INCLUDING OUR PRODUCTS, SERVICES, OR SITE CONTENT) OR THIRD-PARTY MATERIALS OR WEB SITES: INDIRECT, EXEMPLARY, SPECIAL, INCIDENTAL, PUNITIVE OR CONSEQUENTIAL DAMAGES, OR DAMAGES FOR LOSS OF PROFITS OR GOODWILL, REVENUE, DATA OR USE, INCURRED BY YOU OR ANY THIRD PARTY, WHETHER IN AN ACTION IN CONTRACT OR TORT, RELATED TO OUR PRODUCTS OR YOUR ACCESS TO, AND USE OF, OUR SITES OR ANY OTHER HYPER-LINKED THIRD PARTY WEB SITE, EVEN IF WE HAVE BEEN ADVISED OF, OR ARE AWARE OF, THE POSSIBILITY OF SUCH DAMAGES. NOTWITHSTANDING ANYTHING TO THE CONTRARY, OUR LIABILITY TO YOU FOR ANY DAMAGES ARISING FROM OR RELATED IN ANY WAY TO OUR RELATIONSHIP WITH YOU (INCLUDING OUR PRODUCTS, SERVICES, OR SITE CONTENT), OR THIRD-PARTY MATERIALS OR WEB SITES (FOR ANY CAUSE WHATSOEVER AND REGARDLESS OF THE FORM OF THE ACTION), WILL AT ALL TIMES BE LIMITED TO THE AMOUNT PAID TO PURE EARTH FOR THE APPLICABLE TRANSACTION GIVING RISE TO THE LIABILITY, OR, IF THERE IS NO PAID TRANSACTION RELATED TO THE LIABILITY, THE LESSER OF THE AMOUNTS PAID BY YOU TO PURE EARTH IN THE PRIOR TWELVE (12) MONTHS AND FIFTY DOLLARS ($50). CERTAIN STATE LAWS DO NOT ALLOW LIMITATIONS ON IMPLIED WARRANTIES OR THE EXCLUSION OR LIMITATION OF CERTAIN DAMAGES. IF THESE LAWS APPLY TO YOU, SOME OR ALL OF THE ABOVE DISCLAIMERS, EXCLUSIONS, OR LIMITATIONS MAY NOT APPLY TO YOU, AND YOU MIGHT HAVE ADDITIONAL RIGHTS. In the event that you are not happy with any product you purchase from KetosisCookbook.com then you are protected by a 30 day money back guarantee. By asking for a refund you are agreeing to remove the ketosiscookbook.com products associated with the purchase from all devices that you own and destroy any printed copies. We reserve the right to refuse a refund if you have downloaded any file more than one time, have downloaded to multiple IP’s, or downloaded any files after notification of cancellation is made to our company during the 30-day guarantee window. Refunds are made via the method you initially ordered with and will processed within 24 hours by our customer support team. The mark ketosiscookbook.com and Pure Earth’s logos and design marks are trademarks of Pure Earth, or one of its parent companies, subsidiaries or affiliates. All rights with respect to those marks are reserved. All other trademarks appearing on the Website are the property of their respective owners. Pure Earth claims copyrights in all content of this site. The compilation of all content on this site is the exclusive property of Pure Earth, LLC and protected by U.S. and international copyrights. This Terms of Service Agreement and your use of the website shall be governed by the laws of the State of Florida. Any legal action or proceeding related to this website may be brought exclusively in Civil court in Pinellas Country, Florida. The UN Convention on the International Sale of Goods shall not apply. We are committed to protecting your privacy. Authorized employees within the company access any information collected from individual customers on a need-to-know basis. Any information concerning the customer and the respective customer records are regarded as confidential and will therefore not be divulged to any third party, unless we are legally required to do so by the appropriate authorities. Customer data is passed on only to services required to maintain our business, such as payment processors. These third party services guarantee the privacy of your data in their own terms. Customers have the right to request sight of and copies of any and all customer records we keep, on the provision that we are given reasonable notice of such a request. We will not sell, share or rent your personal information to any third party. Payments are processed through third-party payment providers like PayPal and Stripe, to insure the best possible customer experience and ensure the customer’s privacy. All our products are delivered as downloads, on receipt of payment. All goods remain property of the company until paid for in full. The download instructions are sent by email, after the payment is received. Additional charges, late fees, chargeback fees and other fees are determined by our payment providers. The contract between Pure Earth and users is binding on the parties and on their respective successors and assigns. The user may not transfer, assign, charge or otherwise dispose of any contract formed under these General Terms or any of their rights or obligations without Pure Earth’s prior written consent. Pure Earth has the right to revise and amend these General Terms from time to time in its absolute discretion, including but not limited in response to changes in market conditions affecting Pure Earth’s business, changes in technology, changes in payment methods, changes in relevant laws and regulatory requirements and changes in Pure Earth’s system capabilities.